Jessica offers energy clients a powerful understanding of regulatory and compliance issues. With prior experience working at the Public Utility Commission of Texas (PUCT), Jessica now guides various market participants in navigating the complex regulatory requirements governing utility operations and generators with the applicable state agency and market authority. She works on a broad range of project and finance transactions for solar and wind power generation, including reviewing and negotiating interconnection agreements and obtaining all necessary regulatory approvals from the state agency and applicable market authority. 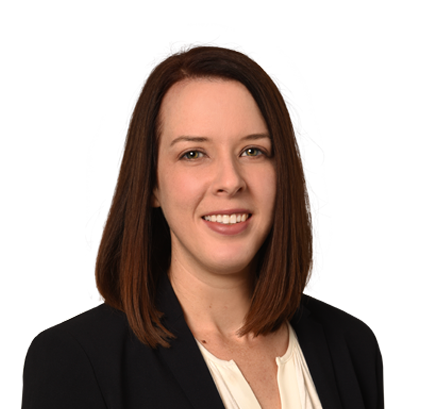 Dedicated to energy industry work, Jessica not only helps clients develop new projects but continues providing legal guidance as needed throughout the life of a project. She especially enjoys interacting directly with clients to create industry-specific legal solutions and strategies. At the PUCT, Jessica represented staff in contested administrative hearings and assisted in crafting policy in several rulemaking projects for the agency. Clients appreciate her unique inside understanding of the agency as she works on their behalf. Jessica enjoys running half-marathons and riding horses. An avid runner, Jessica and a college friend from Arizona run half-marathons together annually to stay healthy, keep in touch and visit new cities, such as San Francisco; Chicago; Savannah, Georgia; and Vancouver, British Columbia. A lifelong service volunteer, Jessica likes to give back to the community in sweat equity. When Jessica volunteers for an organization, she prefers the hands-on work. Jessica donates her time through the Junior League as a community placement volunteer at the Thinkery, a children’s museum. She also volunteers with the Austin Humane Society and Sustainable Food Center.